Interested in being a research subject? You can email the Lab Research Coordinator (exerciselab@cas.uoregon.edu), or call 541-600-4095. Are you a Human Physiology major and want to join this lab? You can apply online to be an Undergraduate Research Assistant for any of the HPHY labs, including the Exercise & Environmental Physiology Lab, during HPHY’s mid-winter application cycle (HPHY URA Application) or you can email the Lab Director, John Halliwill, PhD. Are you applying for the Research-Intensive MS/PhD program and want to join this lab? Graduate students who work in this lab are part of a collaborative research team, co-lead by Dr. John Halliwill and Dr. Christopher Minson, conducting research in the Exercise & Environmental Physiology Lab, Human Cardiovascular Control Lab, and Evonuk Environmental Physiology Core. Depending on your interests, you can email John Halliwill, PhD, or Christopher Minson, PhD, for more information. This lab is affiliated with Evonuk Environmental Physiology Core (EEPCore). 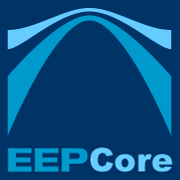 Learn more about the EEPCore. The Exercise & Environmental Physiology Lab is one of many labs led by faculty of the Department of Human Physiology. Learn more about the Department of Human Physiology.